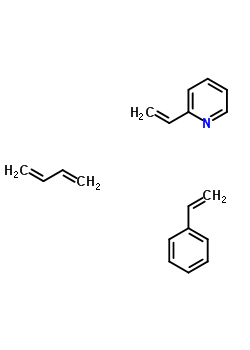 China Vinyl Pyridine Latex Suppliers, China Vinyl Pyridine Latex Manufacturers. Vinyl Pyridine Latex is a co-polymer emulsion with Butadiene,Styrene,and 2-Vinylpyridine.This product is the key component for the binder used for tyre fabric(cord fabric) and rubber binding purpose.It is widely used in tire,and other engineering rubber industries. 2. The PH of the solution may drop,adjust to 10-11.5 for long term storage. Uses: used for fabric and rubber binding purpose.It is widely used in tire,and other engineering rubber industries.